David Bowie is releasing his 25th studio album called Blackstar on January 8th 2016 (which is also his 69th birthday). The album will have seven songs on it, and the title track will be used as the opening music for the TV series The Last Panthers (based on real events by the Balkan jewel thieves the Pink Panthers). I don’t think we have to talk much about what we expect and hope, we’re talking about Bowie, one of the most talented, precise, emotional, to the point musicians that has ever existed! Foo Fighters have a surprise for us in 23 days! In 23 days the Foo Fighters have something for us! It could be either a or b, but I have no idea… Whatever it may be, I can’t wait! Yesterday a friend posted this song, and to be honest, it’s been years since I last heard it. The lyrics and music are excellent, but the subtitles on the video are immense. People say a lot of stuff over time “I’ll always be here for you, no matter what…”, “forever..”, “I love you”, is it true though? Excellent tune and thought for today! After that very long and delightful lunch, I went on a mini tour or the Zocalo, went into the church of the centre/downtown for the first time; from what I remember, I think the organ is the biggest organ to work in all of Latin America. The church is beautiful, has a very pacific vibe to it, the smell is perfect, tourists having a peek, locals going to Sunday mass, others going to escape reality, others to face it; bliss. Well, after that I went to watch a movie at a friends place, ended up watching two movies, making popcorn – once piece of advice NEVER read instructions, popcorn gets burnt if you leave it in the microwave for 2 minutes 20 seconds, come to think of it, not one piece of popcorn got burnt, I did come across a piece of uncooked corn or two though… Hey, I’m human! I then separated the popcorn into two; popcorn on its own in an acrylic bowl, and popcorn in the bag where I added a chocolate kind of spread, not the brand you’re thinking of with an N, but an amazing spread that my friend brought over from the States…. It was late and it had been an intense but wonderful day, time to go home; even though I always get a rush of blood to the head late at night and can’t sleep…. It was time to go. The Uber driver picked me up, I didn’t know whether or not he wanted to talk as it was Sunday, around 1am, and well, he just might not have been in the mood to talk, tired or whatever, but he asked me what music I wanted to listen to, so I asked if he could put on 105.7 FM. I must say, I don’t like judging people by their appearance, and I don’t, but I do judge people to a certain point based on their music taste. 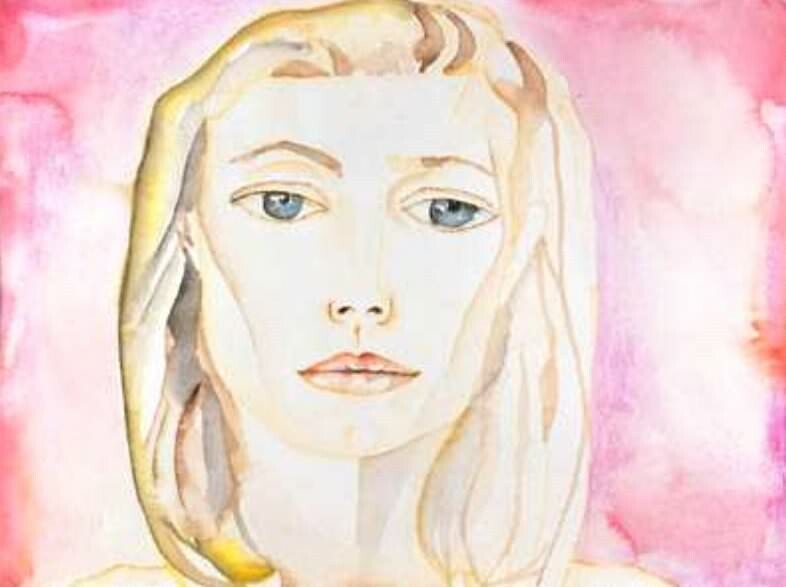 Being passionate has its pros and cons… It can be an extremely beautiful, lovely, exciting thing, but it is also very tiring, energy consuming and can destroy you…. And (in my mind), that is exactly what happened to Cobain. I wanted to share this story with you all, I don’t think there has to be a reason to everything, and I have no conclusion to this post, I just wanted to share what I thought and felt with whoever clicked on this post. Hace algunos meses tuve la oportunidad de trabajar junto a gente súper talentoso y apasionado. Un día me pregunto Rulo Barrera (guionista y animador) si quería hacer la voz de una chava en uno de sus videos, dije que si (iba a poner “sin pensarlo” – pero si lo pensé demasiado, ya que el lenguaje está un poco rudo y el tema es medio….taboo) – pero se me hizo tan bien escrito, hecho y pensado que dije que si! Pueden ver el resultado aquí abajo! Felicidades a Rulo, Martin, Jake, Gaby y Mascara! Hope we work together again soon. Have a listen to Saturday’s show, here! Thanks for helping me out with info guys! Escuchen el programa en donde colaboro semanalmente junto a Jergas en su programa llamado Vigia por Reactor 105.7 fm de 6pm – 7pm todos los sabados! Cada semana recomiendo una banda emergente del Reino Unido, la reocmendación de esta semana es de Liverpool y se llama Halem. Sus influencias son AlunaGeorge, M83 y Chvrches. Pablo Cantú y Christian Jean forman Reyno. Pablo es el baterista y canta coros y Christian toca la guitarra y es la voz de este duo de la Ciudad de México. Tuve la oportunidad de verlos tocar hace como 2 años en el Imperial, y algo que puedo decir es que son súper apasionados y talentosos; Muy bien muchachos! La banda de rock alternativo se formó en el 2012 y sacaron su primer album en el 2014 llamado Viaje por lo eterno y recientemente sacaron Dualidad; segundo album de Jean y Cantú. Hace unas horas estrenaron su último video, Fluye! I’m a big believer of vibes, energy and intuition. Years ago, I stopped doing a lot of things because I trusted my gut waaaaay to much, and over the past few years, I’ve wounded down, but you know what? When you know, you know. Both good and not so good. I don’t want to get all personal, even though I’d love to (cheaper than going to therapy), but this isn’t my Dear Diary. Thing I’d like to mention is; go with your gut feeling, trust yourself whatever the outcome. If it’s meant to be, it’ll be, if not, even if you insist, fight and ignore reality, the house will eventually burn down, or even worse, you will become grey; and being grey is probably the saddest human trait to have. Giovanni Giorgio Moroder is an Italian record producer, songwriter and DJ. He’s produced 9 hit songs by Donna Summer including Bag Girls and On The Radio and created a bunch of songs for artists such as David Bowie, Blondie, Janet Jackson and more. Moroder says that his proudest piece of work is Berlin’s Take My Breath Away. Giorgio released his latest album back in June called DEja Vu and on that album he collaborates with Britney Spears, Foxes, Mikky Ekko, Kylie Minogue and others. Just a few days ago, Giorgio uploaded the lyric video for Tom’s Diner ft. Britney Spears. I thought I had discovered Rudimental a few days ago when I heard We the Generation on the radio show I collaborate on with Jergas; thing is, whilst listening to them for quite a few hours, I realized I had heard their song Feel the Love ft. John Newman a few years ago! 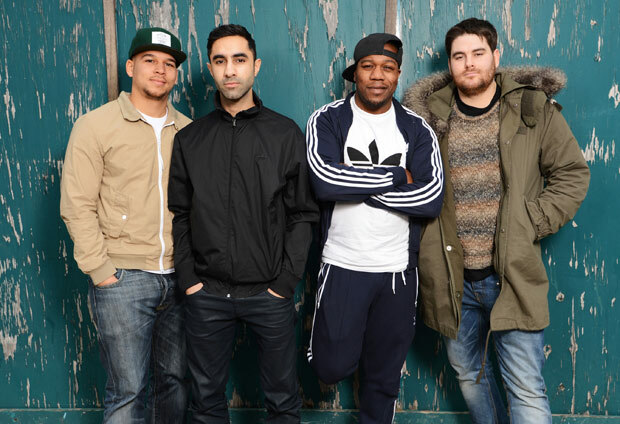 Rudimental are a drum and bass band from Hackney, London. They’ve collaborated with artists such as Alex Clare, Foxes and Emeli Sandé and were nominated for a Mercury Prize back in 2013, that same year they won the Brit and Mobo Award for Best Album (Home) and I don’t think they’re far off from winning quite a few more statues for their second album released earlier this month called We the Generation. The name of their second album is the song I’m going to post, I hope you love it as much as I do!